Looking for cleaners who can help with your spring clean? Need someone who’s professional, affordable and reliable? One-Off Cleaning is all that and much more. We’re located in Vauxhall and offer an abundant array of one-off cleaning packages to cater for a wide range of cleaning needs. Whether you’re moving home and need our deep cleaning services in SW8, or you just need one-off help around the home – we can help meet your requirements. Simply contact our friendly customer service team in SE1 now on 020 3397 3282 for a free estimate. We guarantee you’ll receive the best value service in London. We’re so popular within SE11 because we offer customers what they require and only charge them for what they need. Unlike other house cleaning companies we will tailor our packages to our customers’ requirements meaning that they’ll only pay for the precise things they require. Furthermore, once you receive our free estimate you can rest assured that this is the price you’ll pay for the one-off cleaning at the end and that there won’t be any additional costs. We guarantee you that we offer the best priced domestic cleaning services cheaper in all of Vauxhall, SW8. So, don’t delay and get in touch with us right away by dialling 020 3397 3282. We’ll also offer you a cancel anytime option in case you have to reschedule. How Are We Environmentally Friendly? Our one-off cleaners in SW8 are trained to the highest of standards, which means they will take the utmost care and pride when carrying out your clean. Furthermore, they are trained to use green cleaning methods that are as water, chemical and energy saving as possible. We will always go the extra mile with our one-off cleaning options in SE1 to make sure they’re as eco-friendly as possible, giving you peace of mind that you’re doing your bit for the environment too. As you can see, when you book a one-off clean with One-Off Cleaning you’re choosing a professional, competent and trustworthy company that won’t just meet your expectations but will exceed them in every possible way. Located in the London Borough of Lambeth, Vauxhall boasts a mixture of residential and commercial areas. One of the most prominent buildings within this area is the British Secret Intelligence Service central headquarters, which stands by the equally dominant Vauxhall Bridge. Housing developments have also taken place in the area, with the recent construction of St George Wharf Tower, which is part of a large complex of apartments that have been under construction since 1992. Another building of note is Brunswick House, a Georgian manor that was built in 1758. 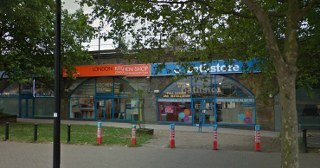 Vauxhall station offers exceptional transport links with the underground, buses and National Rail services. If you live in the SW8 area and you’re looking for help with your one-off spring cleaning allow us to do the hard work for you. We can come to your property at a time and date that is suitable to you and will have your home in a pristine condition in next to no time at all. Or, should your require end of tenancy cleaning, we can also provide unbeatable service for you. Nothing is too much trouble for our award-winning staff and we guarantee that once they’ve been over you’ll wonder why you hadn’t booked with them sooner. We stand head and shoulders above our competition because of our unwavering dedication to achieving the best results possible and you can be part of this by calling us on 020 3397 3282 and booking today.